Castle Leibenstien, where Christy and family came up with the idea of making home made German Tarock cards! If you’re a Gothtober Crafter, you certainly have your work cut out for you now for Gothtober DAY 5 (Click the book titled Of Lice and Men). We gave you a needlepoint project, then we showed you how to carve and dry apple heads and now here’s another fun assignment! All the way from Germany comes a pack of cards you can print, cut out, glue sides together and you then have your very own Tarot Deck! Germany is getting darker and colder by the day, but fall there (called Herbst in German) is beautiful. 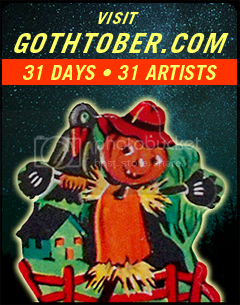 We have a Gothtober correspondent who can verify this information for us, she lives there! Yesterday was German unification day and The Chambers family will probably celebrate their long weekend by taking a walk in their local forest to photograph mushrooms (yes, the red ones with white spots featured in the cards). The crazy idea for the cards came from a short vacation at Castle Leibenstien this summer. 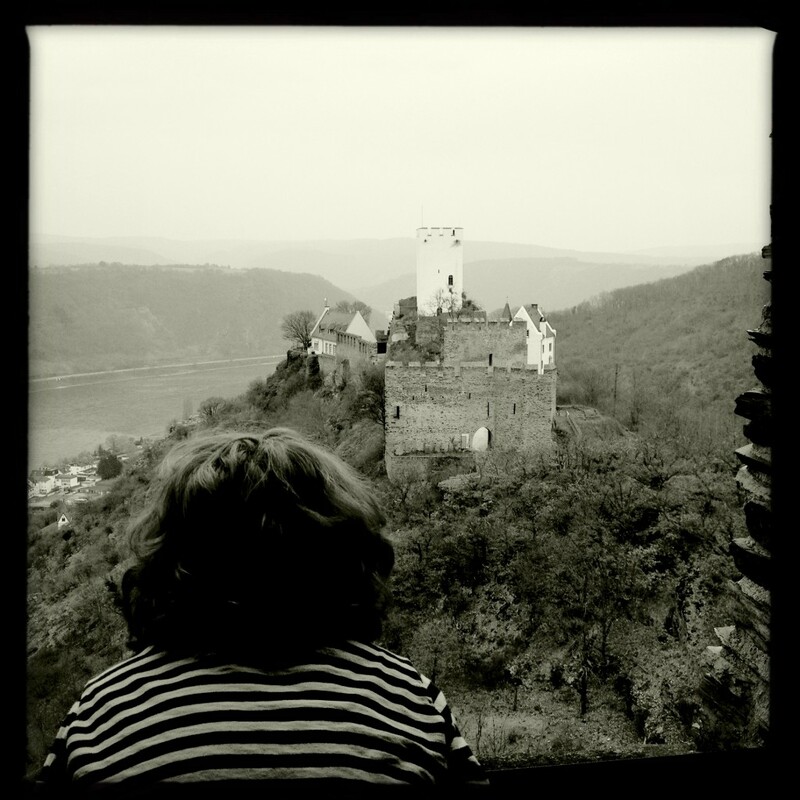 When sleeping in a castle, there is no TV or Internet…. This can be alarming to a modern 10 yr old. So since we were unprepared for an unplugged evening, my mother and I started to make simple cards to entertain everyone. How fun it would be to have a fancy detailed deck made by our family! I started to research German traditional card games and found that the most popular game Tarock, is played with the 78 card tarot deck. The only problem is that everyone plays with different rules depending on which part of Germany you are from. Honestly, the game is so complicated I can’t even understand some of the rules!!! Anyway, I guess I will have to stick to fortune telling. Who knew that that would be the less complicated part. I started painting, and well, here are the cards! The Devil is a family heirloom from Brian’s side. We have no information about him but we love him. He seems to like playing cards, Nigel says he cheats, but I think one should expect that from the little Devil.Today at the flea-market or “Flomart” in German, we almost came home with a creepy gnome with an axe but the pair of them together would have clearly been trouble. 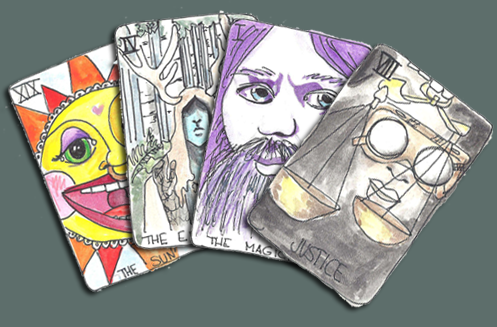 Click on DAY 5 Gothtober 2014 to get your set of Beautifully Illustrated Tarot cards by Christy Chambers!